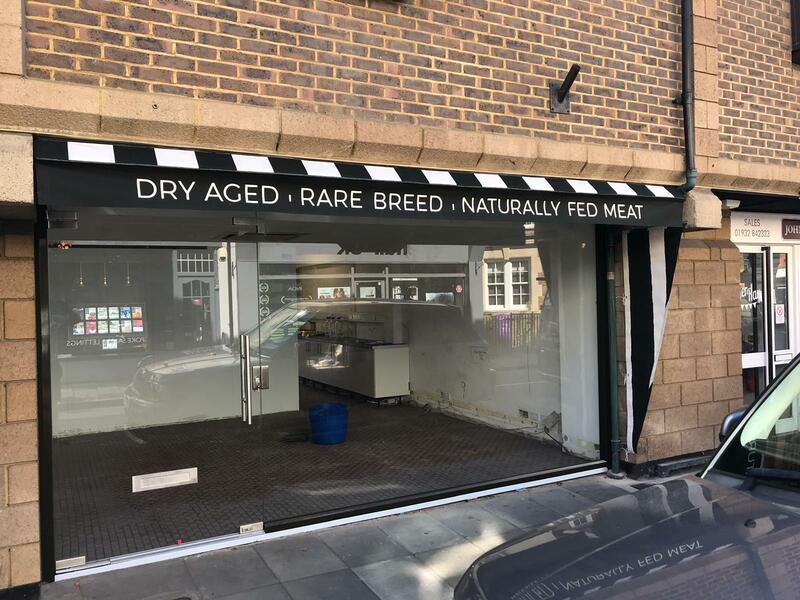 We had the pleasure of dealing with Leigh when he opened his first shop in Cobham in January 2017. 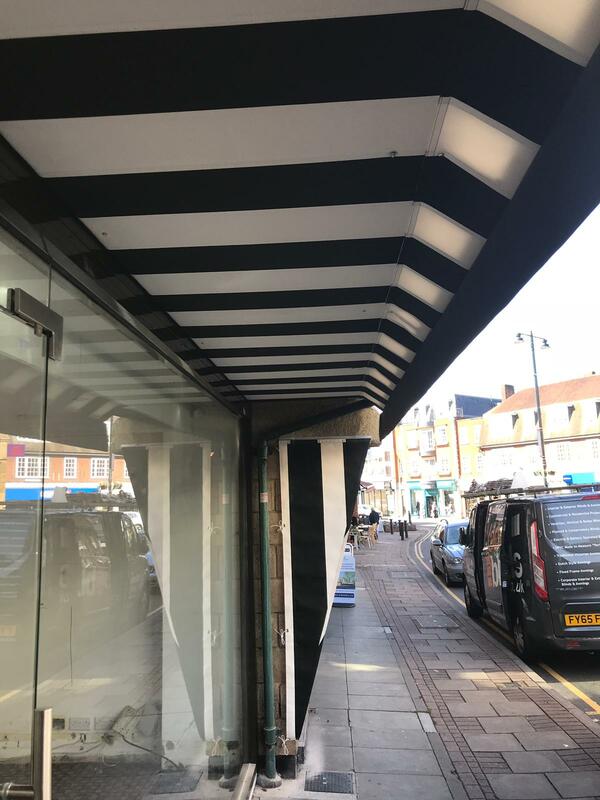 Now they are opening their second shop in Weybridge, Surrey. 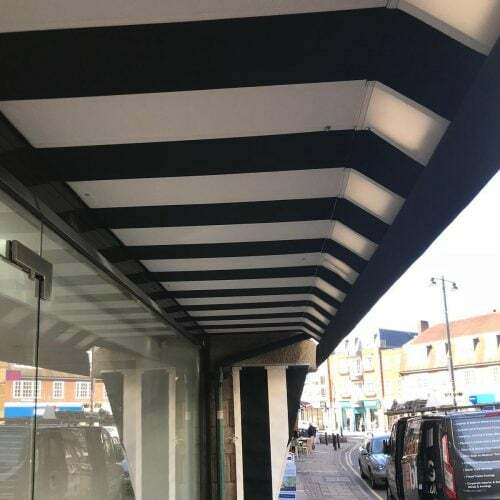 It was an unusual design but we delivered a bespoke fixed frame with a bespoke striped fabric in time for the opening. 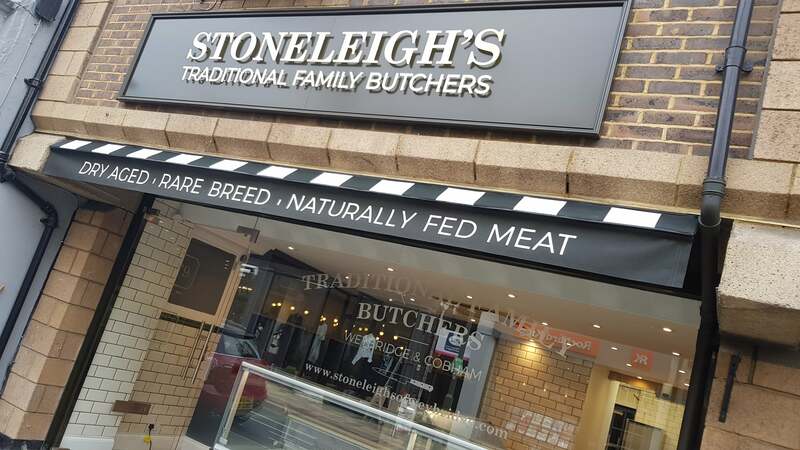 The transformation of the shop is nearly complete and it will be open for business next week selling their high quality British meats and hand made products. 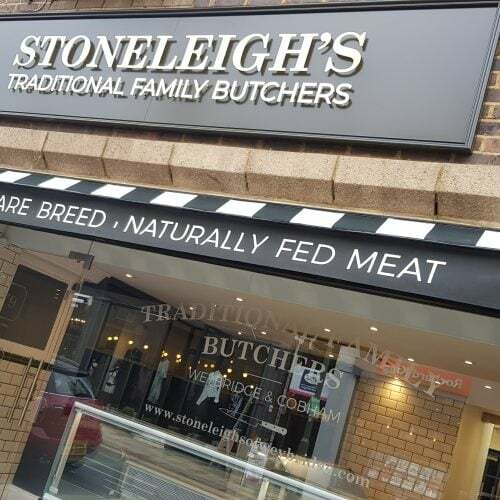 The word Butcher originates from the Anglo-French term Boucher and old french Bochier which literally translated means “butcher, executioner”. 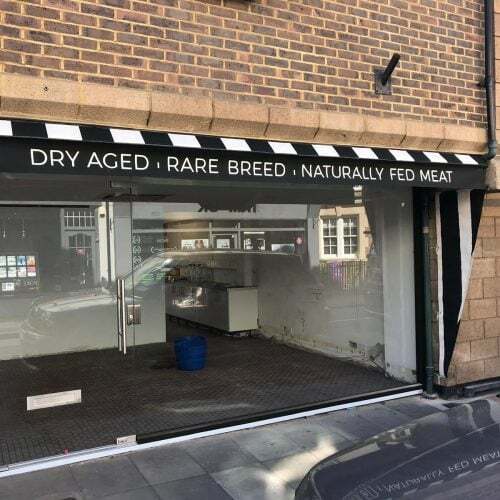 This dates back to circa 1300 which is as long as the trade has been around. 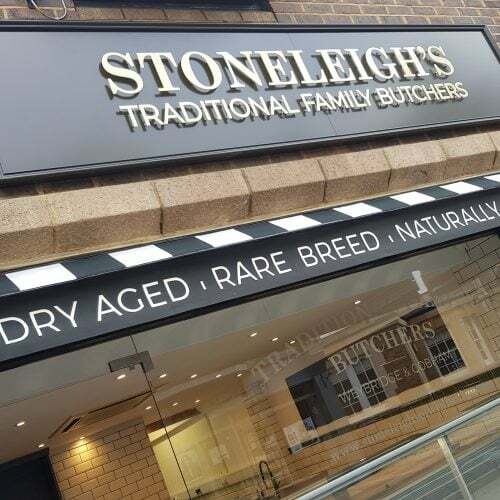 It’s a trade we respect here at Stoneleigh’s, our meat gets our undivided attention, we treat it with care and precision because ultimately that matters. 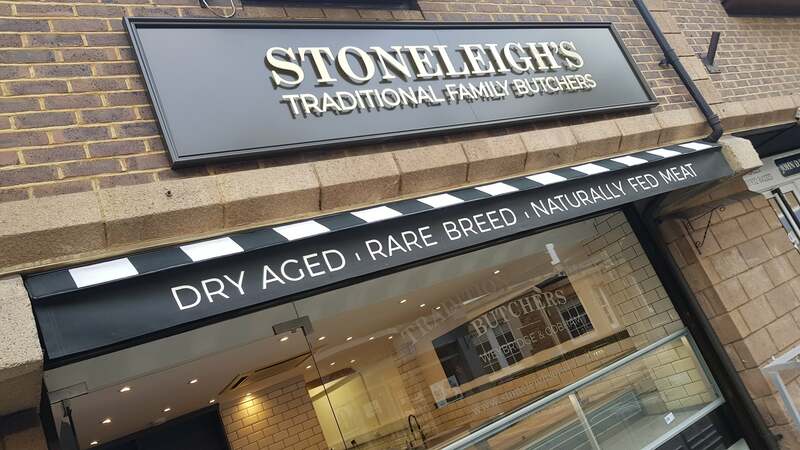 What you end up serving is a direct result of the passion and cultivation of cuts from Stoneleigh’s.